What Happens if I Fail to File Form 5471? The first question is who is required to file a Form 5471? The answer is not simple. There are several categories of persons who must file. They include U.S. citizens and residents who are officers or directors of foreign corporations in which U.S. shareholders acquire 10% or more of the stock. This applies even if the officer or shareholder himself doesn’t own ANY stock in the company. And by the way, the term persons includes individuals, corporations, partnerships, trusts and estates. Another category of persons who are required to file are those who acquire 10% or more of the shares of a foreign corporation in a particular year. Also if you own more than 50% of the stock of a foreign corporation you must file Form 5471. For this purpose you are treated as owning stock owned by certain relatives such as your children, spouses, or parents. In addition, persons who own stock in a corporation which owns stock in another corporation are treated as owning stock in both corporations. Also, if you own options to purchase stock they may be treated as if you actually owned the stock. As you see it can get very confusing, but the bottom line is that if you are an officer, or director of a foreign corporation, or you own stock in a closely held corporation you need to share this information with a tax attorney who can advise you about your need to file. The reason you need to be very sure about whether you do or don’t need to file is because of the penalties. The penalties are both monetary, and non-monetary. The penalty for failure to file is $10,000 per year for each year the form isn’t filed. If after the IRS contacts you, you still don’t file the form then the penalty can go up to $60,000 per year. Also since each foreign corporation you are involved with needs to file a separate Form 5471, the penalties can double, and triple from these levels. But as they say on late night TV. BUT WAIT There’s more! If you fail to file the Form 5471 the IRS statute of limitations for billing you for additional taxes is extended for three years after you file the required information. Let’s try an example. In 2009 you were required to file form 5471. Usually the statute of limitations would have expired by April 15, 2012 BUT if you didn’t file the Form 5471 then the IRS could audit you and send you a bill for additional taxes in 2015, or 2016, or 2030 for that matter. And not just for the taxes related to the Form 5471, but for any mistakes that you made on your entire tax return! You have to file the Form 5471 to stop the running of the statute of limitations. 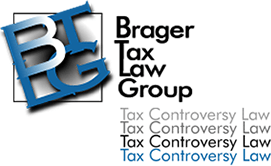 If you think you might have failed to file Form 5471, or have any other tax problems and would like to start the process of solving them please call us here at Brager Tax Law to arrange for a completely confidential consultation.